Maria Nerius started crafting right out of college to earn a little income while trying to find a job. She sold Christmas ornaments and after a few arts and craft shows figured out that she could earn a living being a professional crafter. Maria's first show was in front of a local grocery store where she sold 500 hand-sewn ornaments for a dollar! Maria went to her first trade show and found the Aleene’s Tacky Glue's booth. Maria rushed up to a lady in the booth telling her how much she appreciated a customer service letter she had received from the company. Maria thought it was cool that they used a made-up spokesperson. Aleene was like the Betty Crocker of crafting. After she was done explaining, Maria looked at the lady’s name tag and it read Aleene. Aleene was a real person who owned the adhesive company! Maria was never so embarrassed in her life, but Aleene was very gracious and a few years later asked Maria to be a part of her TV show, Aleene’s Creative Living. Maria became the show’s industry expert. Maria's favorite project to date is her book, Creating a Family Heritage Album, published by Prima Publishing/Random House, about genealogy and how to record family history and traditions. While writing the book, Maria reconnected with her extended family and even held two family reunions. And after the book was published, Maria found out her co-author, Bill Gardner, was family! Maria had worked with Bill for over 10 years and it was an amazing surprise to find out they were related. 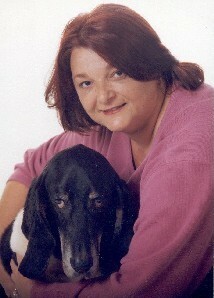 About 12 years ago Maria was diagnosed with fibromyalgia. She had to give up selling her crafts at outdoor shows in the south, but began to write more books and articles. It was wonderful to find out that even though she often have days where she is in pain, she can continue to craft, write, and promote her love of art and craft. It also opened her eyes to writing more about ergonomics and how to craft despite any physical disabilities. Crafting is a very healthy way to keep you mind and body motivated and strong! Maria continues to be a craft industry expert, consultant, craft designer and producer, and author. Maria's product development background include Delta Technical Coatings, Classic Elite Yarns, Rycraft, Gare, Adhesive Technologies, Arnold Grummer Papermaking, DRG Network, and USArtQuest. She has appeared in over 500 TV segments for taped and live broadcast including TNN, HGTV, HSN, PBS and local news programs, as well as seven national radio programs. FaveCrafts is happy to welcome Maria Nerius as our Craft Expert and contributor to our ever-growing site. Here you can find her step-by-step projects, helpful how to articles, book and product reviews, blog posts, and our free Quick and Crafty newsletter. Where can I find the "pre-made" child's blue jean purses? I would love to get some to decorate and sell at a holiday bazaar some friends and I have each year. Thanks in advance for your help. Great article! The story about Maria Nerius, and how she does what she does while having fibromyalgia, was very encouraging to me. I also have FM, and love to crochet. I've sold some items online and at very small craft shows and would love to do more! Thanks for the encouragement! I am on a fixed income and could use additional income. Are all of your patterns copyright? I was interested in several.